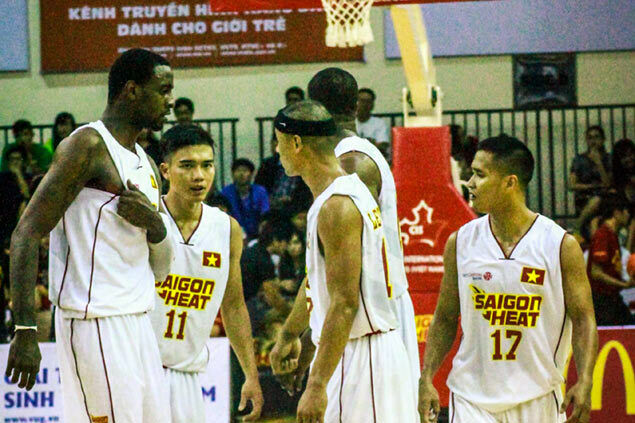 The Saigon Heat have spurred the growth of basketball in Vietnam. VIETNAM is turning to the Philippines to fast-track the formation of the country’s first-ever professional basketball league. SPIN.ph obtained from the Espiritu Manotoc Basketball Management an email from Vietnam basketball officials who are looking for a Filipino commissioner and coaches for the Vietnam Basketball Association (VBA) which they hope to launch this year. The email came from Tony Garbelotto, head coach of the Saigon Heat which happen to be the first professional team. The Heat compete in the Asean Basketball League (ABL). The Saigon Heat will have two squads in the VBA, which will also have the Hanoi Patriots, Da Nang Dragon, Gialai Mountaineers, and Can Tho Knights to complete the six-team field. The coaches, according to Garbelotto, will be asked to focus on player development. salaries ranging from US$1,800 to $2,300 per month from June to December, accommodation, and round-trip airfare awaits accepted applicants, Garbelotto added. The VBA is also in search of a commissioner who will run the league from June to December with a salary ranging from $1,800 to $2,500 per month. Garbelotto added aspirants can email their resume to anthony.garbelotto@saigonheat.com or Nhi.tran@xle.vn. Vietnam has been active in developing basketball over the years beginning with the formation of the Heat, who have attracted raucous crowds during their ABL home games.